Let Us Know What You Are Looking For ? Relaxation and Stress management is an essential consideration for any company and its people. And music is the best way where the total wellness of the workforce has to be taken care of. 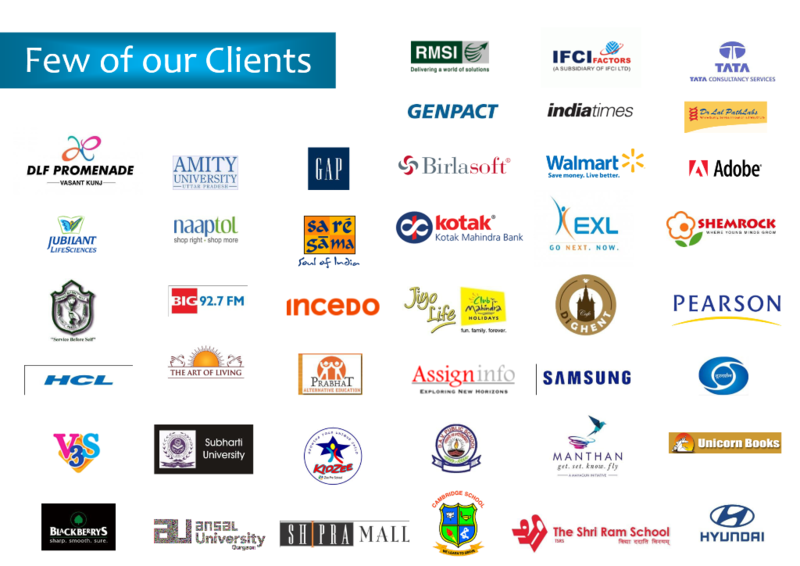 We have been the leaders in employees engagement for plethora of MNCs & thousands of employees for the past 15 years. 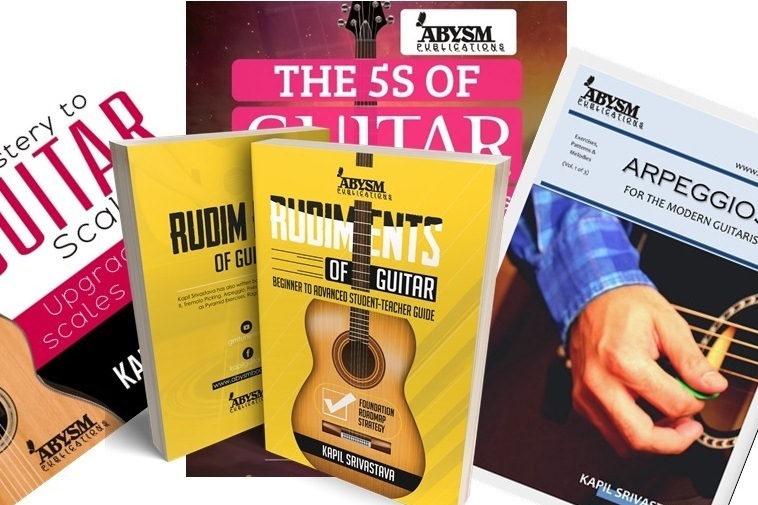 AbysmBooks.com is India's Leading Sheet Music & Books Store to help Teachers, Music Students, Hobby Learners, Live Performing Artists. Guitarmonk Band is famous for it's specialized live guitar performances. Formed by World Class Artists. 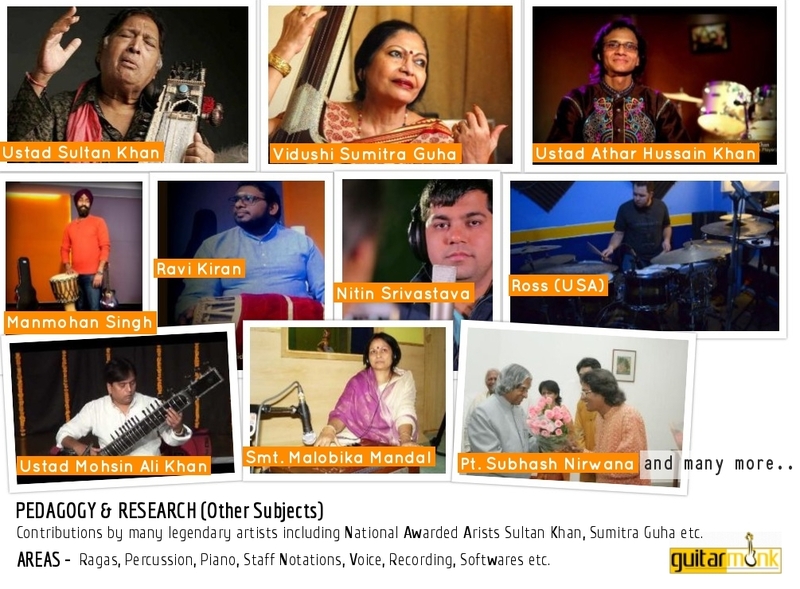 Genres as Ragas on Guitar, Bollywood Moods, Western Vocals; Rare combinations as Guitar & Ghatam, Guitar & Tabla, Guitar & Hawaiian Guitar are eye catchy to the public. 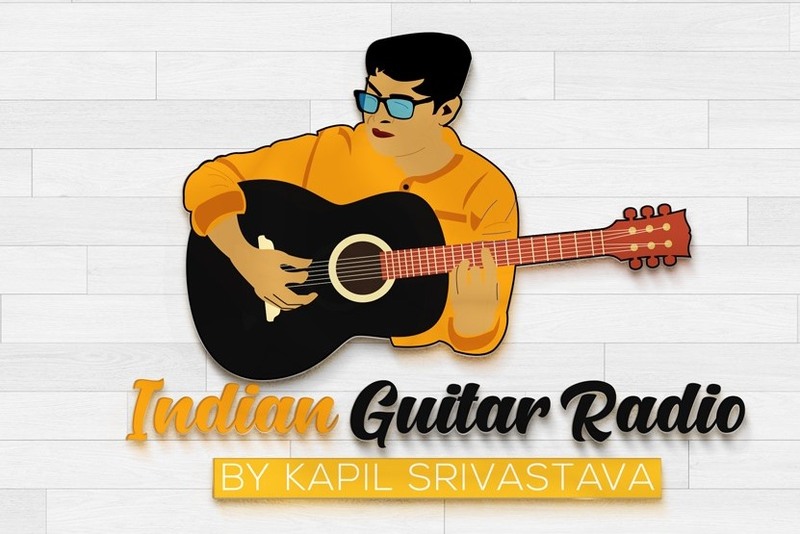 We are India's first Pro Bollywood Guitar Channel. JustDialMusic is Live Music Greeting Service Providers. Leaders in Live Music, Greetings & Gifting. You have Birthdays, Parties, Marriage? 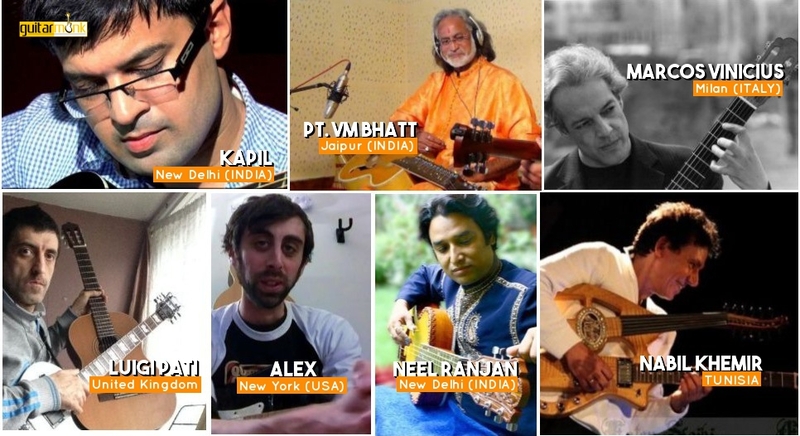 We have artists across India and best guitarists to provide you the ideal ambience. Anywhere, Anytime, Any Occasion. 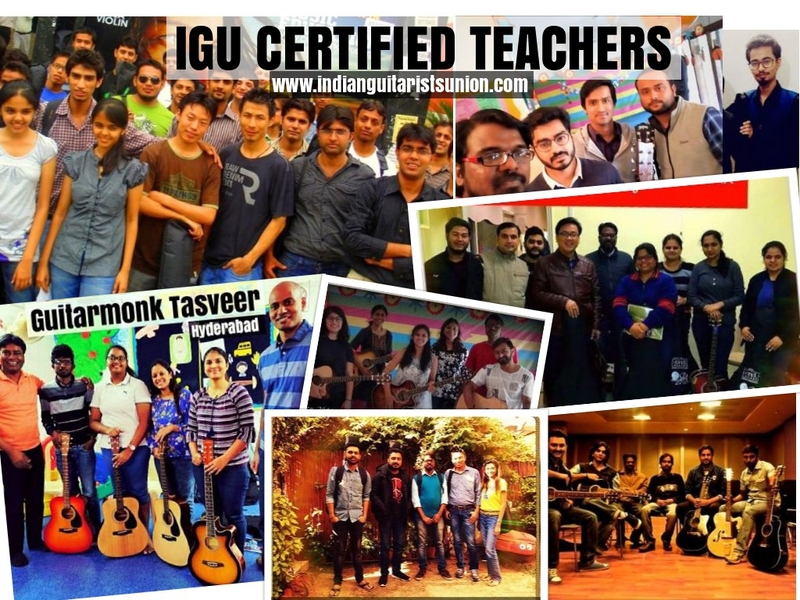 Guitarmonk, formally established in the year 2005 is today's India's largest chain of Guitar Schools. With its presence in more than 100 locations, it is expanding facilities in 300+ cities to 500+ towns of India. Founded by Author, Artist & Composer - Guitarist, Kapil Srivastava. Who is also the father of many creative art and music brands. Guitarmonk's Studios & Infrastructure are based in Delhi-NCR, Jollygrant-Dehradun, Sidcul-Kotdwar and also other centers across India. For more information write to contact@guitarmonk.com. Winner of Best Teacher's State Award by Delhi Government in the year 2007 along with several other milestones and recognitions. Such as Health Ministry, Rotary Group, Federation of Public Schools, Amity, HCL, Dr Lal Path Labs and many more. Preservation of Arts i.e. record, promote, publish and distribute the definitive arts works. Effective music education in rehabilitation of society. Create social campaigns in generating awareness about various socio-health issues. Also Creating new opportunities, concepts and business models in art & music sector. An amalgamation of two words ‘guitar’ + ‘monk’. Symbolic with passion & spirit of monk to an artist and it's ever persistent commitment to achieve wholesomeness in life. It also bridges east and west, modern and traditional gaps. Reflects and inspires persistence and value system inside an artist or individual with his domain or subject. It's spirit also strengthens the artistic power and inspires a strong belief and positivism to the struggling music community. Who aspire for stability, employment and bread and butter. It also motivates the artistic spirit into a unity, from self-centered approach (Individual growth) to a collective whole (Organization Growth). And further transpiring the same value in to the society as a whole. Hence, forms a concept, value, and a new faith that brings new opportunities, new avenues for promotion, learning, expression, recognition, lifestyle and business in the music industry. Creating new benchmarks in the music industry / economy with music as a serious / sincere profession and career choice. Guitarmonk is the India's largest & popular guitar company. Comprises chain of Guitar Schools that not just provides best guitar classes in Delhi NCR but across Indian cities.